MIAMI – Due to its outstanding success, HBO announced the renewal of its Emmy®-nominated original news magazine series VICE for a third and fourth season. The series has crossed barriers to cover all kinds of stories that are often ignored by most media, as VICE correspondents travel the world to uncover today’s most pressing issues, from civil unrest and hotbeds of terrorism, to unchecked government corruption and looming environmental catastrophes. The award-winning series recently premiered its second season on April 18th. Over the past two years, VICE has shed light on some of today’s most vital issues, including the environmental destruction in Greenland triggered by climate change, rampant U.S. military waste and corruption in Afghanistan, extortion, torture and killings in Rio’s favelas and terrorist trainings in Dagestan. Correspondents have embedded themselves with Nigerian oil pirates, reported from within North Korea, and offered a firsthand look at Afghanistan’s child suicide bombers. 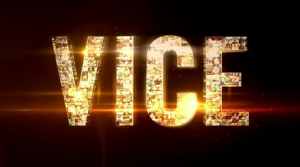 Hosted by Shane Smith, founder of the revolutionary global youth media company of the same name, VICE is executive-produced by Smith, Bill Maher, Eddy Moretti and BJ Levin; with CNN journalist Fareed Zakaria serving as consulting producer and stellar correspondents including Thomas Morton, Suroosh Alvi and Vikram Gandhi, among others.